Weiss Realty is a real estate company with our main office in Durand, Wisconsin, started in 1979. We specialize in hunting, farmland, hobby farms, country estates and rural property sales in western Wisconsin and eastern Minnesota. At Weiss Realty our goal is customer service. Our team is made up of local, home-grown, full-time land specialists. 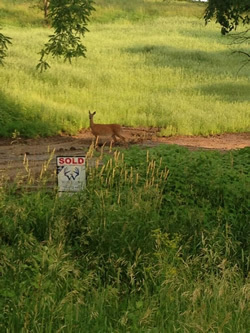 We know the land and work to help customers reach their land ownership and investment goals. Our philosophy is to place agents in their own territory to better serve you. We are members of five MLS systems. We have a proven track record of successfully targeting buyers in your own backyard via local print ads, flyers, email marketing, trade shows and television advertising campaigns. Weiss Realty offers the most comprehensive sales and marketing plan for our customers. The Weiss team knows how to showcase your property and has wide-ranging, established communication networks in the outdoor community. #1 in Land Sales Since 2005! Specialize in Rural Properties including: Hunting Land, Dairy Farms, Hobby Farms, Country Estates and Recreational Land.....Anything Country!